Hidalgo County Judge Ramon Garcia, left, and Commissioners Eduardo "Eddie" Cantu and David Fuentes, far right, are seen during Hidalgo County Commissioners court on Jan. 30, 2018, in Edinburg. Those we elect to represent us in office sometimes lose touch with what their constituents want and expect. Communicating openly and regularly with them is the surest way to express our expectations, and disappointments when necessary. And the public commenting portion of meetings is often the best time for this open exchange. Unfortunately, not all entities in the Rio Grande Valley appear to respect the importance of this sacred time that has traditionally been set aside for the public. That’s not the same thing. Speaking to one’s elected official and looking them in the eye in a public setting is entirely different from a staffer or intern, scanning written complaints and distributing them to various departments that may, or may not be read by an elected official. We, tax-paying citizens, deserve the opportunity to advise, in a timely manner, those we put into office. Hidalgo County Commissioners had for years begun their meetings with a public commenting period. And there was one elderly lady who often signed up and spoke about a land dispute she had with her divorced husband. But that was her right and we were told by county officials that the county judge and others even tried to help her because they were well aware of her situation. But over a year ago, Hidalgo County Commissioners moved the public commenting period to the end of the commissioner’s court meetings, which means citizens can wait hours to be heard. That lady has not been seen or heard from for a while. The trouble with having public commenting at the end of a meeting is that the issues that citizens want to raise have usually already been voted on by then. Case in point: On Tuesday, outspoken OWLS member Fern McClaugherty signed up (before the start of Hidalgo County Commissioner’s court) to address commissioners with questions on an agenda item that she did not understand. The item involved the appropriation of money for a new interactive application device that is to give real-time feedback and educational health information to county trail users. But by the time McClaugherty was afforded the opportunity to speak, at the end of the meeting, commissioners had already voted to approve the item. And so any reservations or concerns she had really were moot. We hope that officials realize that to silence the public is to lose out on its collective wisdom. We appreciate entities, like the City of Pharr, which has reinstated public commenting at its city commission meetings after years of not allowing it. The process had been stopped after a couple of citizens were cited with unruly behavior and outbursts. We remind the public that if they are allowed to address elected officials, they should do so with respect, be well prepared and have researched the issue, and they must adhere to any time limits. 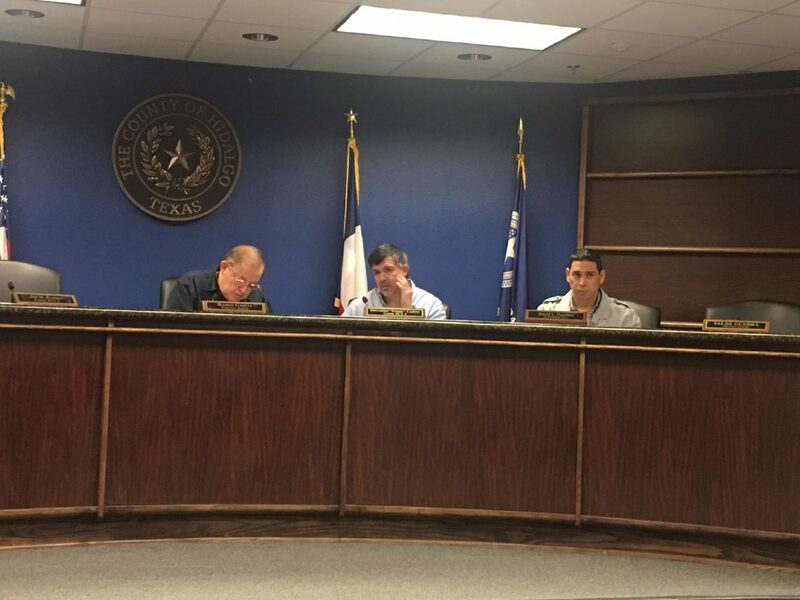 The City of McAllen does not have a formal public commenting section on its bi-weekly agendas, but often times the mayor will ask if anyone has concerns on an issue that is being brought up, to come forward and speak their peace. As long as that policy continues, we feel the public is being heard. Whether it’s an annoying pothole in a road, request for a business in a neighborhood, or learning about a QR code and app that can give health and exercise information to those on a trail, the public needs to be able to ask their questions of their elected officials, and they should never be silenced.